A fantastic one day Mini buying event, held inside a massive venue. 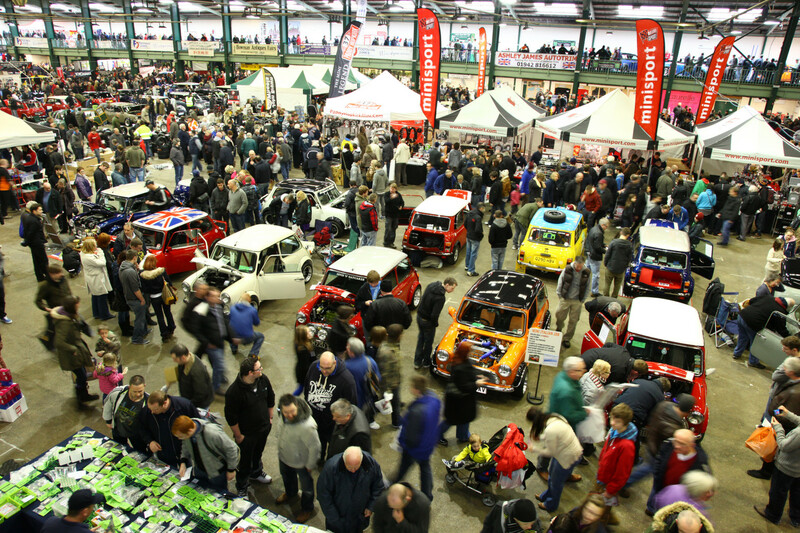 British Mini Club are very proud to be celebrating the 19th year of Mini Fair, an indoor event held annually at the end of January, a winter highlight attracting thousands of Mini fans from all over the UK and beyond. Mini Fair is one of the most well established and well-organised National Mini Events of the year, with something for every enthusiast. We have use of the best showground facilities in the country for staging our event (whatever the weather!!) . With excellent indoor facilities including 200 seater restaurant and bars. Two levels of exhibition space, the main hall and two side halls with over 6,000 sq metres, tarmac roadways with ample free parking. Along with easy access from the M6.